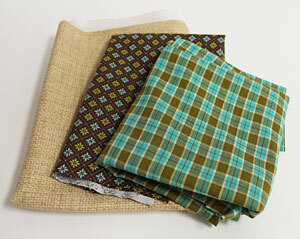 Create a cozy country look in the dining room with a charming homespun placemat! 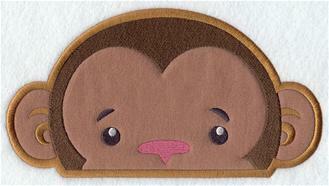 An applique Animal on the Edge design peeks from the bottom of a cute fabric patch. These instructions show you how to position an "edgy" design right at the bottom of the placemat. 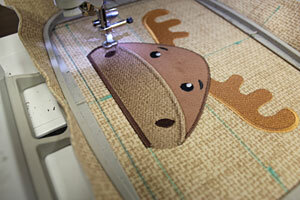 I used the medium size of the Peeking Moose (Applique). Choose designs to match your personal preference and decor. Designs 5" x 7" or smaller are a good fit for this placemat. 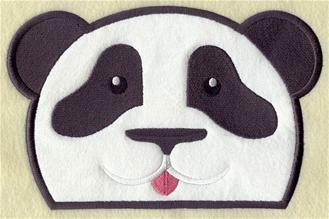 I began by preparing the embroidered patch. 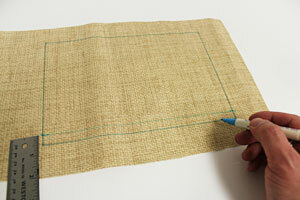 With an air-erase pen, I drew a 9 1/2" wide by 6 1/2" high rectangle on the cotton fabric (I used lightweight canvas), leaving a couple of inches of excess fabric around the shape. I measured and marked 1/2" up along each side, starting at each bottom corner, and drew a line connecting the marks. I'll use this line to position the design. 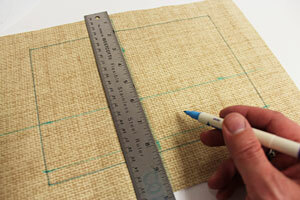 To position my design, I created a paper template of it at full size with embroidery software. 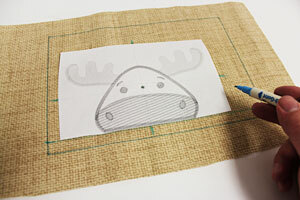 If you haven't worked with templates before, click here for a quick tutorial. I trimmed the template by cutting right along the bottom edge of the design, and around the side and top edges, leaving about 1" excess around the design. I aligned the bottom edge of the template with the line I just drew, leaving the 1/2" space between the template and the bottom edge of the shape. I also centered the template side to side by measuring equal distances between the center point and the side edges of the shape. Then to allow for the seam allowance on the right side, I moved the template over another 1/2" to the left. 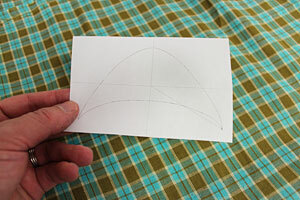 I poked a hole in the center of the template and marked the fabric, and marked the axis points. Next I removed the template and drew lines connecting the marks. Then I sprayed a piece of medium weight cutaway stabilizer with temporary adhesive and smoothed the fabric on top. I hooped the fabric and stabilizer together, lining up the marks on the hoop with the lines on the fabric. 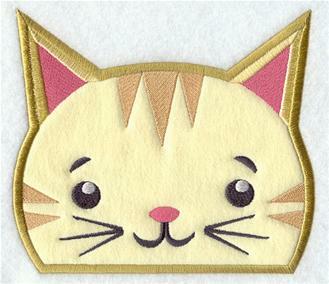 To prepare the applique fabric piece for the design, print the dieline ("_DL" file) that is included in the download at full size with embroidery software. 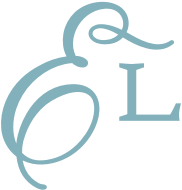 If you don't have embroidery software, or you are unable to print from it, you can embroider the dieline file onto a sheet of paper. 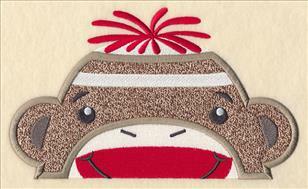 Load the dieline file into your machine, hoop a piece of paper, and embroider the dieline directly onto the paper. 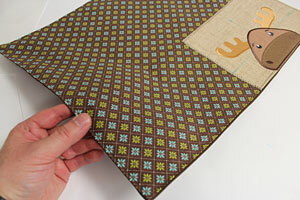 After the dieline is printed or stitched, use the template to cut the fabric to the right size and shape. 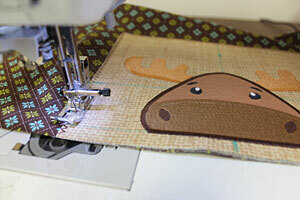 Then make a "sandwich" of stabilizer, applique fabric, and the paper template. 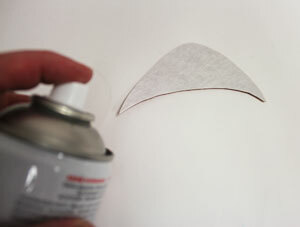 Spray a piece of cutaway stabilizer with a little temporary adhesive (I use KK100). Smooth the applique fabric on top of the stabilizer. 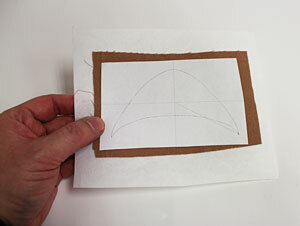 I sprayed the backside of the paper template with a quick shot of adhesive and smoothed it over the fabric. 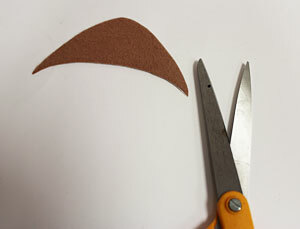 Then I cut out the shape. I attached the hoop to the machine and loaded the embroidery design (that's the file that begins with "Y" followed by four numbers). I moved the hoop so that the needle is directly over the center point on the fabric and embroidered the design. The first thing that will sew is another dieline. 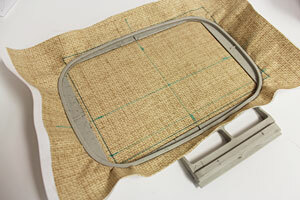 After the dieline is finished, stop the machine and remove the hoop, but do not unhoop the fabric. Next I sprayed the backside of the fabric piece with adhesive. 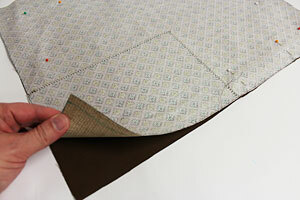 Place the fabric right inside the dieline. 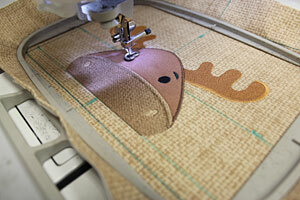 Attach the hoop back onto the machine and continue with the design. A zigzag tack down stitch will sew next. 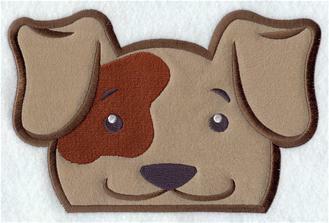 This binds the applique piece to the fabric for the remainder of the design. Then all the inside elements will sew. 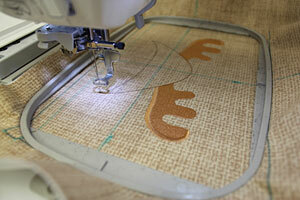 Continue embroidering the design. 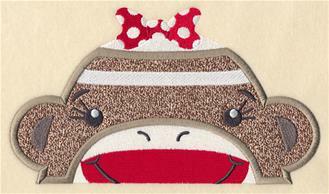 A satin stitch border will sew next. 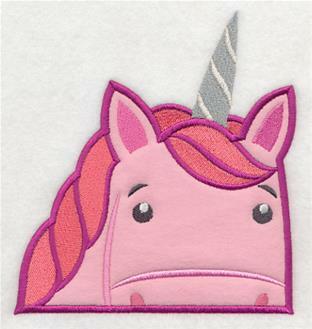 When the design is finished, cut out the shape of the patch. You can trim the stabilizer from the backside of the embroidery if you like, however, leaving it in place can give the fabric more support. 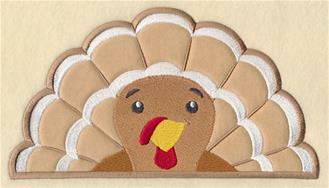 For the front of the placemat, cut a piece of cotton fabric (I used homespun) to 19" wide by 15" high. Then add fusible web to the backside of the embroidered patch (follow the instructions on the fusible web packaging) and line it up with the bottom right corner of the placemat fabric. Press in place, but do not iron it onto the placemat fabric just yet. 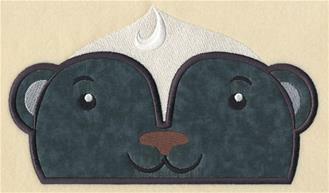 I used a zigzag stitch to tack the fabric patch on place along the top and left sides only (the bottom and right sides do not need to be stitched at this point). 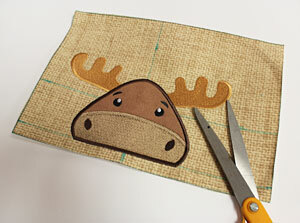 You can use any decorative stitch you like! For the back fabric, I laid the assembled top piece on top of the fabric (I used lightweight canvas), right sides together, pinned in place, and trimmed the back fabric around the shape of the top piece. Next, to make sure the seam was sewn directly under the design, I peeled up the back fabric and marked the back of the top piece (with an air-erase pen) along the bottom of the design, and drew a line connecting the marks. 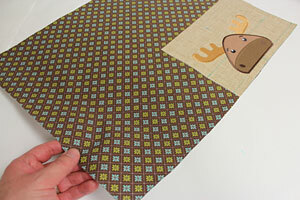 Sew a 1/2" seam along the top, bottom, and one short end only (leave one short end open for turning). 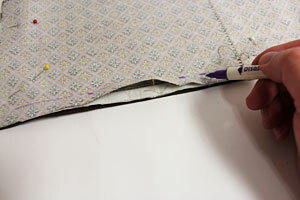 When you reach the design, sew the seam right along the bottom edge of the design following the line you just drew. 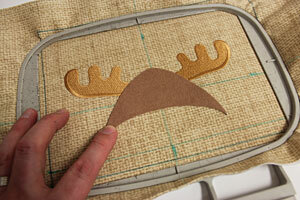 Next, turn the placemat right side out and press the seams with an iron. Fold the fabric of the opening in 1/2" and press. Pin the opening in place and top stitch a 1/8" seam around the outer edge of the placemat, starting and stopping at the outer edge of the design (don't sew over the embroidery). 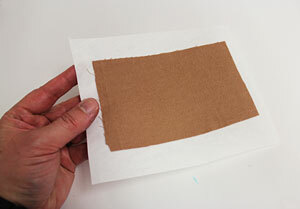 Press the patch to activate the fusible web and permanently adhere it into place. And you are done! 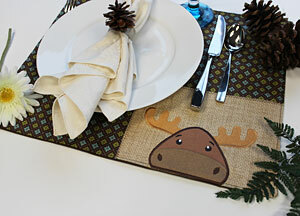 Dress up any table with a sweet woodland-style placemat! 5.91" x 9.45" | 4.92" x 6.93" | 3.90" x 3.90"
5.87" x 8.69" | 4.79" x 6.89" | 3.87" x 2.68"
5.86" x 8.53" | 4.79" x 6.89" | 3.91" x 2.74"
6.70" x 5.88" | 5.58" x 4.89" | 3.88" x 3.40"
9.05" x 5.88" | 6.90" x 4.48" | 3.88" x 2.53"
9.43" x 5.04" | 6.84" x 3.66" | 3.88" x 2.08"
9.18" x 5.88" | 6.88" x 4.41" | 3.88" x 2.49"
8.50" x 5.07" | 6.88" x 4.11" | 3.87" x 2.30"
8.50" x 4.87" | 6.88" x 3.94" | 3.87" x 2.21"
5.88" x 6.25" | 4.85" x 5.14" | 3.68" x 3.87"
8.52" x 4.99" | 6.88" x 4.03" | 3.90" x 2.28"
8.52" x 4.76" | 6.87" x 3.84" | 3.90" x 2.20"